Long time no see my bookish people. It's been a long year in between college applications, finishing up high school, drama with friends, and so on. But I can now proudly say that I survived high school. After a long four years full of emotional breakdowns, thousands of memories, hundreds of new experiences, new and old friendships, and surges of emotions I now only have one thing standing between me and college: summer. After four years of pushing my love for books and writing to the side in order to prioritize my school work, I can now return to the habits I used to possess throughout elementary and middle school. Since I decided to give myself a little bit of a breather this summer, which is in sharp contrast to my life last summer, I really want to work time in to work on myself and get back to what I love rather than what I feel like I have to do. So, without a further ado, here are my summer reading and personal goals for the summer of 2018. Honestly I cannot believe it is almost the end of another year. With only 29 days until 2018, I'm in complete and utter shock. 2018 was always a year that seemed ages away, however it continues to inch closer and closer to reality. In the year of 2018, I will turn eighteen years old, graduate from high school, and go to college. How completely insane is that??? Anyway, tangent over, it's time to get to the point of this post. I've seen a lot of people doing this "End of the Year" tag on BookTube and I thought it was a really nice way to reflect on the year thus far and launch into the end of the year. So, without further delay, let's get on to the tag. The real question is are there any books I've started this year that I have finished. I have such an issue with starting a book, getting slightly bored or excited by another, and stopping midway through with the intention to return. However, often, I never actually return to the book in a timely fashion. So, yes, there have been quite a few partly-read books this year (in fact, I just had to clear out my currently-reading section on Goodreads so it wasn't as horribly shameful). I'm really hoping to finish at least two of these by the end of the year (especially The Golem and the Jinni and The Marvels). 2. Do you have a winter book to transition to the end of the year? I do not have one picked out yet, but I do hope to pick up one of my Christmas themed books sometime soon to set the mood for the month(: I'm thinking either Let it Snow by John Green or a Christmas Carol by Charles Dickens. 3. Is there a new release you're still waiting for? Nope, since I'm on a book-buying ban and trying to avoid starting new series at the moment (so that I can finish off the ones I've already started) I honestly have no idea what books are coming out this month. 1. Stand-Off by Andrew Smith: This is the sequel to Winger, which I'm currently re-reading, that I initially read three years ago and loved. Because I loved Winger so much, I'm really hoping that Stand-Off has the same earth-shattering effect over me. 3. Illuminae by Amie Kaufman: I've been thoroughly craving something really really different. And, I think this book, which is a high sci-fi told through emails, security camera reports, etc will be more than sufficient to satisfy my craving. As you know from my response to the first question, I've already started The Golem and the Jinni by Helene Wecker. However, the reason I haven't finished it yet is because it started off a little slower than I would like, especially at a time in my life where I am extremely busy and can't read as often as I would like. However, I believe that if I commit myself to finishing it, it has a great chance to become one of my new favorites. The book is an adult urban-fantasy novel based in New York City around the turn of the twentieth century. In addition, it contains elements of ancient African and Middle-Eastern history. Further, it has the qualities of a magical fable. 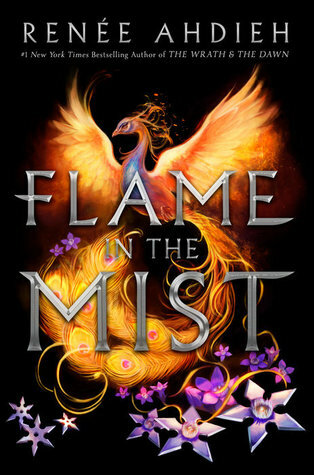 From its shared historical fiction and fantastical elements in combination with its fairy-tale like qualities and intricate writing, it has a definite shot at a place among my favorite books. 6. Have you already made reading plans for 2018? Besides continuing my book buying ban so that I can work on my massive TBR pile, I don't have any set reading plans for next year. I do hope to set a reading goal for each month so that I can dedicate myself to reading a little more than I have in 2016, but have no idea which books I will be tackling first. Hope you enjoyed the short tag(: Let me know if you've read any of the books I mentioned & what books you're hoping to read by the end of the year! I finished this book in one sitting. Quite literally. I started it in bed, and finished it in bed a few hours later. Admittedly, considering the fact that I've been home sick all week, this task wasn't hard as people have kept me herded in my room out of fear of catching whatever "disease" I have (tomorrow, I expect my brother to nail my door shut). Anyway, back to the point. I finished this book in one sitting, and it took me completely by surprise. I received this book in the May OwlCrate a few weeks ago, read the synopsis, and brushed it aside to read later. I had expected this book to be just another average girl meets boy love story. But, to me at least, it was so much more. For the most part, I think the reason this book resonated with me so much is because of the sheer amount of aspects of this book that I related to. But, we'll get to that later. We follow the main character, Eliza, throughout her struggle to balance her online life (as a prolific and successful comic book writer) and her off-screen life, as a socially awkward girl struggling through high school. The way that Eliza interacted with her surroundings, her emotions, and her actions made her seem so real. Zappia managed to craft a character that did not seem dramatized for the benefit of the story, but so real that I felt I could actually reach out and hug her. With the way that Zappia wrote Eliza, I understood everything she was going through with perfect clarity; sometimes, I even felt like I was going through it myself. Throughout the novel, Eliza went through immense growth as she endured both the highs of life, and the very lowest lows. I watched as Eliza crumbled, and watched the pieces come together. Nothing was rushed. Like I said, Eliza was real. And that was one of the reasons this book was so special. Enter Wallace. He’s painfully shy (to the point where he can’t speak out loud when surrounded by more than a few people), built like a football player, and extremely mysterious. And, to make matters even more interesting, he is the most popular fanfiction writer for Eliza’s online comic. Throughout the book, we watch as Wallace and Eliza (two highly introverted beings) fall for one another, learn to trust, and reveal their true colors. Their relationship grows realistically, which means that along with perfections, flaws exist as well. Wallace added so much to this novel as you watch a boy learn to create happiness after experiencing the worst horrors in life. Wallace not only inspired me to be the best person I could be, but to seek out what I love and make sure I dedicate a significant amount of my time to that passion. Now, to get to the aspects that I related to. Wallace and Eliza are both so passionate about writing and art (respectively), which inspired me throughout to get back to my true passions: reading and writing. Recently, I’ve fallen into a reading slump, and this book resurrected me. Reading about Eliza’s inspirations in every-day life and all-consuming desire to lose herself in her story reminded me how much I love writing. And, after finishing this book, I immediately started brainstorming a new story I want to work on. In addition, Eliza’s life is based almost solely online (especially before Wallace came in the picture). Although I am not quite as absorbed by the internet as she was, a large part of my life exists online as well. For example, my book blog, my book instagram, the YouTubers I watch religiously, my favorite Netflix shows, etc. Throughout my time as a member of the book community, I have established amazing connections throughout the world and established important friendships with people I never would have met if the internet did not exist. I have friends that live across the United States, from California to Illinois to Texas and so on. And, even some across international borders in Canada, the Philippines, etc. In this aspect, I related with Eliza and her internet friends and the special bond they’ve augmented that Eliza’s parents had a tough time understanding, as my parents struggle to understand as well. In addition, Eliza dealt with anxiety and panic attacks throughout the book. To watch Eliza struggle to understand the condition she deals with and come to terms with it was truly amazing, and it added to building Eliza into more of a human (rather than a fictional character). This aspect of Eliza’s character especially resonated with me as I deal with the same condition she does. Granted, I don’t have the same kind of anxiety as her, but it still felt nice to be reassured that I am not the only one. Overall, the character development was stellar in this book in addition to the relationship development. The underlying themes of coming to terms with the presence of technology in modern day society, learning to trust, to love yourself, and to discover your true passions made this book go above and beyond your typical teen love story. I found myself anticipating certain events throughout the book (no spoilers) that kept me devouring the book without stopping. Although the writing was pretty average, some of the quotes were truly beautiful (will include below). Due to the fact that I related to so many aspects of this book it truly did resonate with me. I won’t forget this book. I ended up giving this book a 4.5/ 5 stars due to the excellent character development and the relatability of this novel. I took off a fraction of a star because of the average writing and the slow beginning. I do recommend this book to all YA and contemporary lovers. "For every sea filled with monsters, there is a sky full of stars." So guys, I have great news. I have finally completed all of my AP exams for this year!!! Do you know what that means? I'm less stressed, I have more time for reading, more time for writing, and more time for blogging! So hello, I am back. In other news, I got my second Owlcrate book box today!!! I don't think there is anything better than looking out on your porch and seeing that beautiful box sitting there basking in the sun. ​Anyway, I decided to commemorate the fact that I'm done with my exams with a fun little tag. So without a further a due, here it is. After looking over the books on my bookshelf, I'm going to go with Winger by Andrew Smith. I'm pretty sure I went into Winger knowing close to nothing about it, having picked it up only due to a recommendation. Winger is written in a completely different writing style than what I typically read, which is why I was skeptical going into it. However, as the spell delineates, this book completely took me by surprise. I found myself moved by the writing and the plot line. Not to mention the fact that this book mutilated a part of my heart. Besides the review books I've been binge reading to study, the last book I read was Magic Study by Marisa V. Snyder. Magic Study is the sequel to Poison Study, which is a highly addictive and compelling fantasy series I started reading this month. 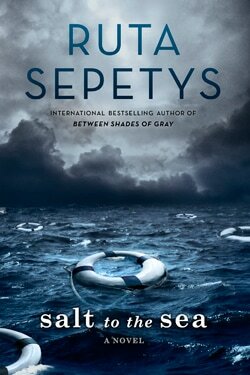 Between Shades of Gray by Ruta Sepetys introduced me into the beautiful world of historical fiction. This book opened my eyes not only to a whole new genre I hadn't given much thought to, but it taught me about historical events I had never really considered before. Since I read this book my interest in largely marginalized historical phenomenons has increased tenfold, as well as my love for historical fiction. I'm not really known to read funny books so I'm just going to go with one I've been reading off and on for a year now, which is Hyperbole and a Half by Allie Brosh. This book is witty, hilarious, and the drawings are great. I love taking a break from my life and indulging in one of Brosh's humorous and semi-inspiring tales. I'm not going to default to one of my favorite books for this category, rather I'm going to choose a book I think is important for everyone to read. I choose The Hate U Give by Angie Thomas because I believe it is extremely important for people to read in order to get a more informed prospective on events in African American prejudice today. I read this book a couple of months ago and I think it is essential, meaningful, and extremely brilliant. Check out my spoiler-free review here. I haven't really been spoiled on many things, but one thing I do wish is that I went into Harry Potter without knowing anything. I wish that every twist and turn took me by complete surprise, instead of knowing that some of them were going to happen. There are a lot of books that I had to read for school that I loved, and some that I ended up disliking greatly. However, one of the many books I've read for school holds a special place on my bookshelves as one of my favorite books of all time. The Things They Carried by Tim O'Brien changed the game for me. The writing was so complex and rich with figurative language, the idea that the author pulled on true events from his life but the reader never knew what was fiction or reality, and the raw emotion in the book made it one of the best and most impactful books I've ever read. There are several books throughout my reading experience that I've had to DNF, however one stands out above the rest. Dead End by Jason Myers is the winner of this category, as I could barely force myself through the first few chapters of this book. There are just simply too many books I could stick in this category for me to make a decision. I'm sorry, but I read a lot of books that almost kill me. I'm going to have to give this one to A Court of Mist and Fury by Sarah J. Maas. This book was so immensely epic and game changing that if I could carry it around with me all the time and turn to my favorite scenes whenever I could, I would. Plus, it wouldn't hurt to have Rhys by my side at all times. A friend of mine has been recommending this to me for a while now which ultimately made it end up on my 2016 Christmas wishlist. For several months it sat upon my shelves with it's beautiful cover staring me down. The other day, I decided to look up the plot and I was pleasantly surprised to discover that the storyline of this novel was completely different than what I thought it was. Once I found out I had another historical fiction by Ruta in my possession, I almost immediately picked it up to read. The main premise of this book is the tragic bombing of the Wilhelm Gustloff ship which occurred in the Baltic Sea on January 30, 1945. Following three strikes by Russian torpedos, the large ship sank into the freezing waters of the Baltic Sea, bringing down over 10,000 passengers (who were fleeing from the looming Red Army) down with it. This event truly did occur, however many people are unaware of it. That is what I find so amazing about Ruta. She writes about largely forgotten events in history to educate the masses about thousands of lives lost that shouldn't be forgotten. She gives the 9,400 people who drowned in the Baltic Sea a voice after theirs has long since disappeared. Not only is the premise of the book amazing, but the characters are as well. Salt to the Sea follows four different perspectives, two boys and two girls, each in the teenage to young adult years of their lives. However, since this book takes place in World War II Europe, their circumstances are far from normal. Each character is extremely complex and original. I could immediately tell you which perspective I was reading from even without reading the name at the top of the page due to their distinct ways of thinking and personalities. And, when all their stories started to weave together, I was captivated in seeing how they would interact, and what they thought of one another. In addition, I don't think that any of the perspectives were lacking. Each character was necessary in fully instilling the impact of this novel into the reader as we became attached to certain characters and appalled by others. The fact that I was constantly trying to crack each of the characters' secrets they attempted to cover kept me on the edge of my seat as I waited (rather impatiently) for everything to unfold. Ruta uses very short chapters in this novel which kept it very fast paced. I managed to finish this book in a day, that's how quickly it flew by. Ruta's superb writing style and use of mystery kept me intrigued throughout the whole thing. Plus, the setting of World War II Europe kept things dangerous and action-packed. I am not going to lie, this book did make me tear up as Ruta highlights the mass amounts of death and tragedy that occurred during the war. Even civilians were treated with unimaginable brutality by soldiers of both the Russian and the German front of the war. It made me realize how lucky I am to be so safe in my suburban town in the United States. I am sheltered and protected from wars that are occurring in other countries, that other children and teenagers don't have the same blessing to be safe from. My heart goes out to them. I learned a lot from this novel. I, like many others, had never heard of the sinking of the Wilhelm Gustloff carrying so many civilians and children of the war. Now, I feel the need to ask and tell everyone about it. These innocent people who died on the boat deserve to be remembered just as we remember those who died upon the Titanic and the Lusitania. Overall, I gave this book a 4.75/5 Stars. It is extremely interesting, fast-paced, and heartbreaking. I recommend this to everyone (especially historical fiction lovers).